The reliability of today’s safety control technology is only as good as the instrumentation networks that feed it. These are becoming increasingly complex, putting safe and cost-effective plant operations in jeopardy. 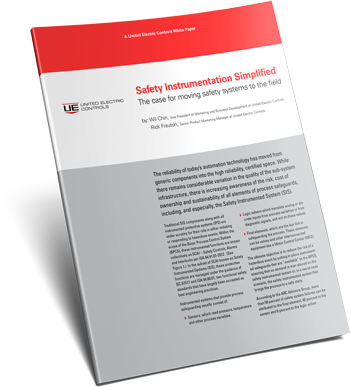 While there remains considerable variation in the quality of the sub-system infrastructure, there is increasing awareness of the risk, cost of ownership and sustainability of all elements of process safeguards, including, and especially, the Safety Instrumented System (SIS). This paper discusses ways that plant safety teams can reduce complexity, maximize safety, and minimize operation and maintenance costs.